It’s available with the following CF® dyes: CF®350, CF®405S, CF®405M, CF®488A, CF®594, CF®633, CF®640R, CF®680, CF®750 and CF®770. 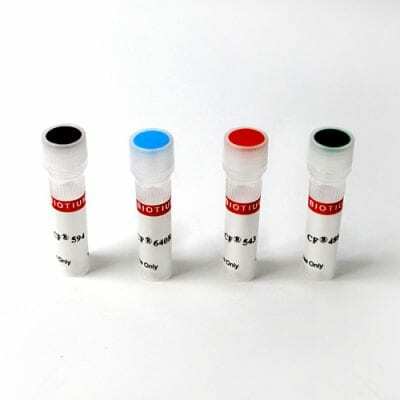 The Yeast Vitality Staining Kit is a fluorogenic assay that allows you to determine whether your yeast cells are metabolically active. The kit contains two fluorescent components, Calcofluor White and ViaVac Red/Green. 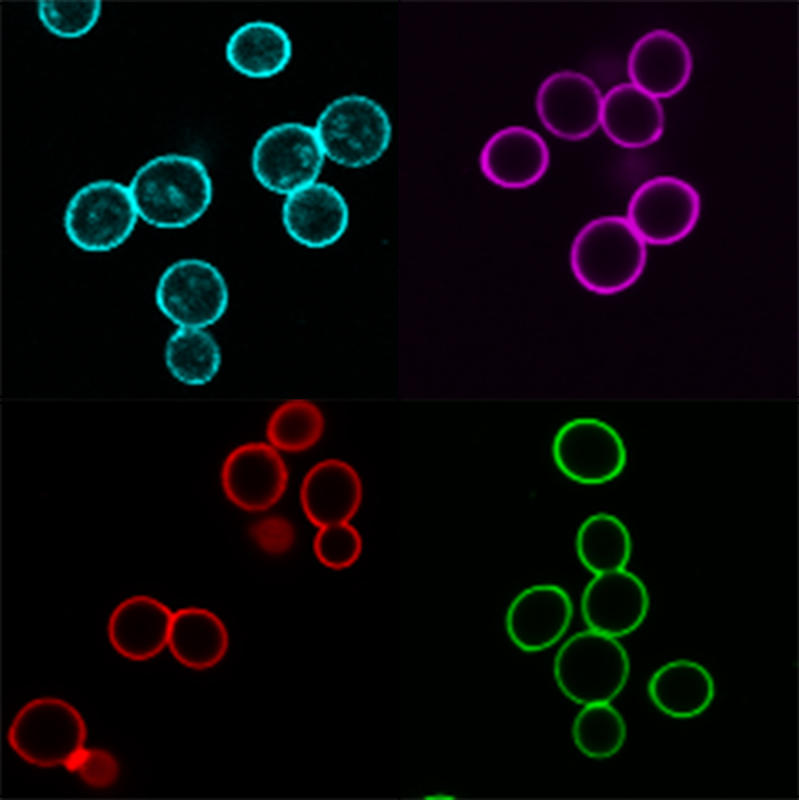 ViaVac™ Red/Green is a fluorescent viability dye for yeast, identical in structure to the dye FUN® 1. ViaVac passively diffuses into cells, showing green cytoplasmic staining. Calcofluor White is a fluorescent blue dye that binds to cellulose and chitin, which can be found in the cell walls of fungi, algae, and plants. In budding yeast Calcofluor White stains bud scars more strongly, because they have a higher concentration of chitin. This product is Arachis hypogaea (peanut) PNA lectin labeled with our superior CF® dyes. Lectin PNA is specific for terminal β-galactose and binds preferentially to a commonly occurring structure, galactosyl (β-1,3) N-acetylgalactosamine.